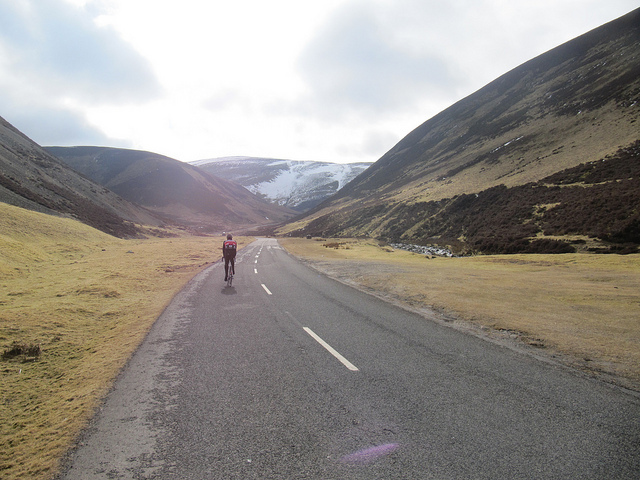 Last weekend saw the first riding of the ‘More Passes than Mastermind’ brevet in south-west Scotland. Riding south from Symington on empty roads we soon crossed the M74 and reached the first pass, into the valley of the Crawick (a tributary of the Nith). Some sections of this descent had ‘interesting’ surfacing, compounded by almost all of the group still being in a paceline – but by and large it was a lot of downhill for hardly any ascent – winding down beside the river under blue skies… perfect! A quick cafe stop at Sanquhar allowed the temperatures to rise a little under the morning sun, and after a short hop on the deserted A76 we turned left and began the ascent to Wanlockhead, Scotland’s highest village. Leaving the control at the mining museum we enjoyed a screaming descent to Abington (the village, not the service station for a change!) 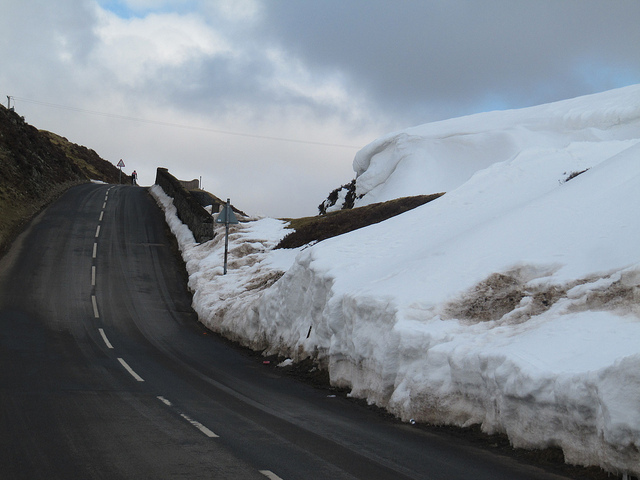 before turning south, into the wind, for the section to the head of the Dalveen pass. I spent this section as part of a group of three, taking turns to pull into what was becoming quite a stiff headwind. The roads were still virtually deserted though, with just a few vehicles passing and the sun was giving a good bit of heat. Good times! 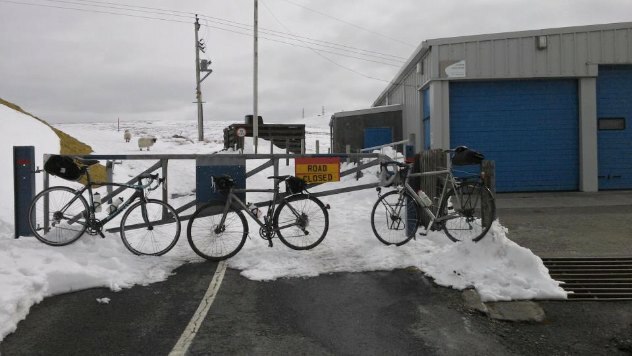 Sooner than we realised the road turned to the west and we found ourselves descending at terminal velocity towards Thornhill – I averaged 22mph for almost eight miles virtually freewheeling, and there’s nothing like free distance on an audax ride! Thornhill was packed with cyclists (more than could readily be accounted for – the locals must have good taste in pastimes) and has an amazing bakery which provided much needed pie and cake. From there, the route wound through the wonderful Forest of Ae, turning to the east again on deserted roads that kept their interest. The wind, quartering from behind, was still pleasant and the ascent was nothing to speak of. Oops! Forgot the recumbent this time… I’d feel this error later! I had set out from Thornhill alone, as this was my first ride since the Erit Lass 200km (see ride report) almost six months before, and my legs were quite stiff. 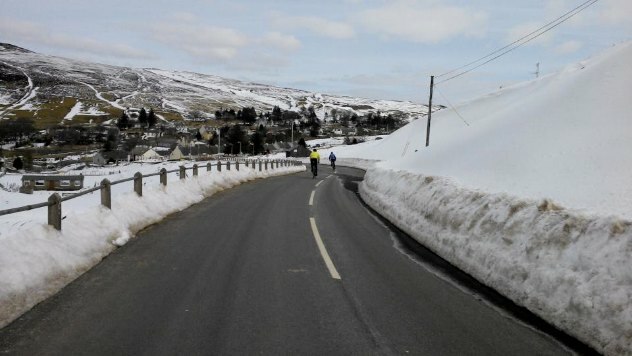 I kept a steady 200W and expected to be swept up by a group at any moment, but this was not to be – little did I realise I’d be riding the rest of the route solo. The return to the north was on a new road to me (the B7020, rather than the more common choice of the parallel B7076, the former A74). 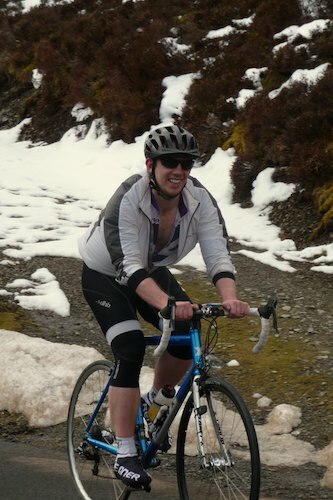 It was altogether more pleasant and time whisked by as far as Moffat in a haze of blue skies and forceful tailwind. 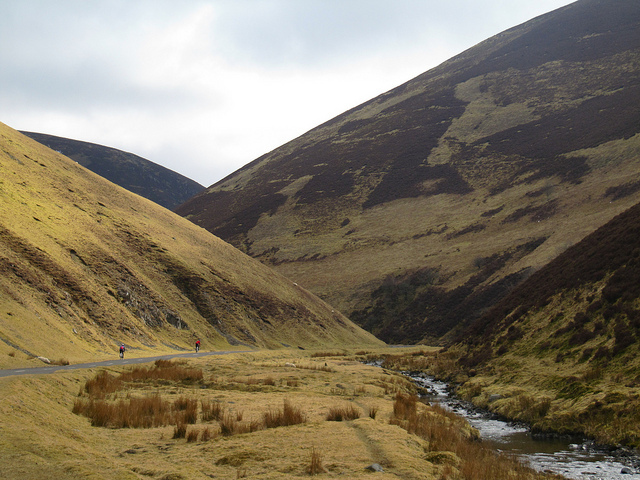 Regrettably all this descending had to come at a price, and that was in the form of the infamous Devil’s Beeftub, a long steady climb from Moffat that took me a hefty forty minutes to complete. I really expected to pick up a group here, but suppose the tailwind had lessened the disadvantage of riding solo. I largely freewheeled to 20mph on the descent from the Beeftub to Broughton where the village shop was pleased to provide essential athletic nutrition of a packet of crisps and a bar of nougat (!). An acute turn in Broughton meant that suddenly I was receiving the full power of the wind, no doubt determined to crush me after such a straightforward and pleasant 190km. The final 16km were an agony of headwind made all the worse by the fact that I was stuck on an upright bike, knowing how little it would normally effect me! I was really quite glad to see the hall and finishing line approaching. Amazingly I was first back despite my pedestrian effort; I can only imagine the others stopped for a far more substantial lunch! Excellent soup and pie followed at what proved to be a very friendly arrivée. Others soon arrived (I should have run the risk of stiff legs to share a draft those last few kms!) and unanimously agreed that it had been a great day out on a great route. Congratulations and thanks to Russell and all the helpers on what was a great route debut, and an event that we hope to see in future years! great event and great pictures! Do you have for our international event calendar of brevets and marathons maybe an email address of the organiser? We can not find any contact address unfortunately.